ParaNorman is an upcoming 3D stop-motion animated comedy thriller adventure film set to be released on Aug. 17, 2012. The movie is about a misunderstood local boy named Norman Babcock who has the unique ability to speak with the dead. Once he finds his hometown of Blithe Hollow under siege from a centuries old witch's curse, he'll have to take on ghosts, witches and zombies to save his home. The paranormal has been present in American pop culture cinema for years, but its impact on the demographic of children viewers is often overlooked. To celebrate the long anticipated cinematic return of the Paranormal genre to children's films with ParaNorman, here is a list of the top paranormal kid's movies of all time. Welcome back to your freaky childhood (after the jump). Boy meets alien in a bread crumb skittle hunt in boy's backyard. Boy and alien bond but alien gets homesick. Boy defies his mom, the authorities and lots of creepy men in white space suits to help his alien friend get back to his home planet. 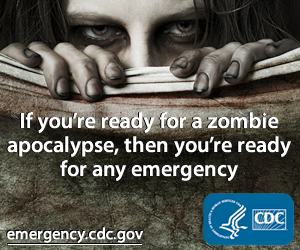 Starring Henry Thomas and Drew Barrymore. 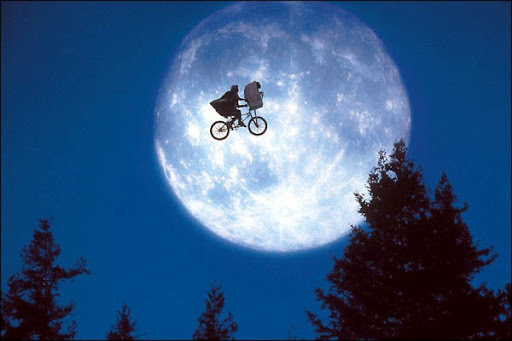 Shot from the prospective of a child, E.T. is probably one of the most honest, emotional and exciting paranormal themed kids movie of all time. Other alien themed movies from the late seventies/early eighties designed for kids include The Last Starfighter (1984), Escape to Witch Mountain (1975) and Flight of the Navigator (1986). As if high school wasn’t hard enough, now Michael J. Fox has to deal with the fact that he’s a werewolf. At least being a werewolf totally improved his basketball skills, go team! Starring Michael J. Fox. Other wish-fulfillment paranormal comedies include Weird Science (1985), Mannequin (1987) and Teen Witch (1989) … top that! Harry and the Hendersons is hands down the best Bigfoot movie ever made. Starring John Lithgow as the worrisome father, this movie is a family film at heart and great fun for the kiddies, just imagine Beethoven only with a bigger pet. If we do ever find Bigfoot, I hope he’s as sweet as Harry. Starring John Lithgow. A couple of neighborhood kids form a club devoted to monsters only to find themselves face to face with the real Count Dracula accompanied by a posse that includes Frankenstein’s Monster, Wolfman and the Mummy. It’s a great movie starring no one you’ve ever really heard of. 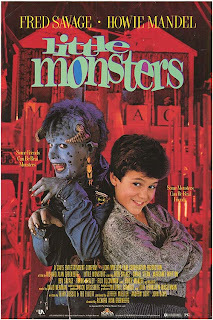 At the height of popularity for his coming-of-age television show The Wonder Years, child actor Fred Savage and comedian Howie Mandel teamed up to star in a wacky coming-of-age monster movie for kids. There are definitely some touching Full House-esque learning moments, which were unavoidable in the late eighties, but you can’t beat the pranks Howie and Fred pull on the other kids, especially the pee in the jar trick. Classic. Starring Fred Savage and Howie Mandel. America’s favorite dad Bill Cosby dies and then comes back as a ghost to make sure that his kids are properly taken care of. It’s Ghost without all the gunplay and pottery wheel kissing scenes. If Tyler Perry wasn’t so busy doing a million and a half projects, I would say a modernized remake of this '90s paranormal feel good family flick would be cute. Starring Bill Cosby and directed by Sidney Poitier. This movie was a classic long before it was even released. Focusing on the ever popular Addams Family, this film was viewed by a wide variety of audiences that included both adults and kids alike. Plus, its paranormal theme sent a message to dysfunctional families all across the United States that it’s okay to be weird. Starring Anjelica Huston, Raul Julia, Christina Ricci and Christopher Lloyd. Hocus Pocus is hands down my favorite witch themed kids movie. The movie stars the glorious triumvirate of divas Bette Midler, Sarah Jessica Parker and Kathy Najimy as the three sister witches who find themselves resurrected into modern day Salem Massachusetts on Halloween night. It’s kids vs evil witches as two teenagers, a young girl, and an immortal cat race to put an end to the witches reign of terror once and for all. The Witches, based on the Roald Dahl book, is another great witch themed film released in 1990 but it's a little too scary for the younger kids. Casper, the friendly ghost meets a paranormal expert played by Bill Pullman when he and his daughter, played by Christina Ricci, move into a haunted abandoned house. What did we miss? Any paranormal kid's movies that should be added to the list? Any that should be struck due to awful '80s sensibilities?